It’s a blustery day on Fistral beach, the waves are choppy, getting out the back is a challenge, and you have over 300 university students throughout the day, battling it out to catch a wave. BUCS also known as British Universities and Colleges of Sport is the leading association for university sport and organisers of the BUCS surf championships the biggest university surf comp in Europe. 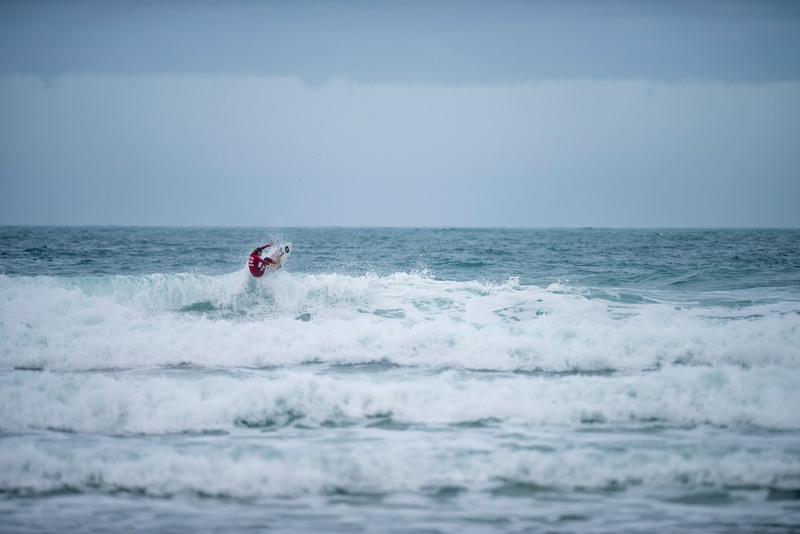 39 universities from all corners of the country: Aberdeen, Warwick, Manchester, and Falmouth to name a few have travelled all over to compete in the BUCS surf champs. Despite the less than ideal conditions, a few of the young surfers scramble for those perfect waves that sneak into the sets. While there are many different levels of abilities, surfers who’ve competed on team GB, surfers who’ve been shredding it at uni trips, surfers whose first time surfing was today, they all have one thing in common: they’re university students who will travel hundreds of miles to catch some waves. As the competition gets underway it’s pretty easy to spot the guys who’ve competed at an international level. With the likes of Matt Chapman, Jersey surfer and Taz Knight who have competed on team GB, some good surfing was on display. Matt absolutely smashed his heat, making those carves and turns look effortless as he cruised through to the semi-finals with a 17 average score – the highest in the men’s competition all day. Not far behind him Taz Knight the dark horse of the competition, scored a total of 13. This is the first time Taz has competed in three years, after he snapped his knee and tore the meniscus and ACL. About a year ago Taz couldn’t even walk for six months with the injury, and now he’s back shredding hard. 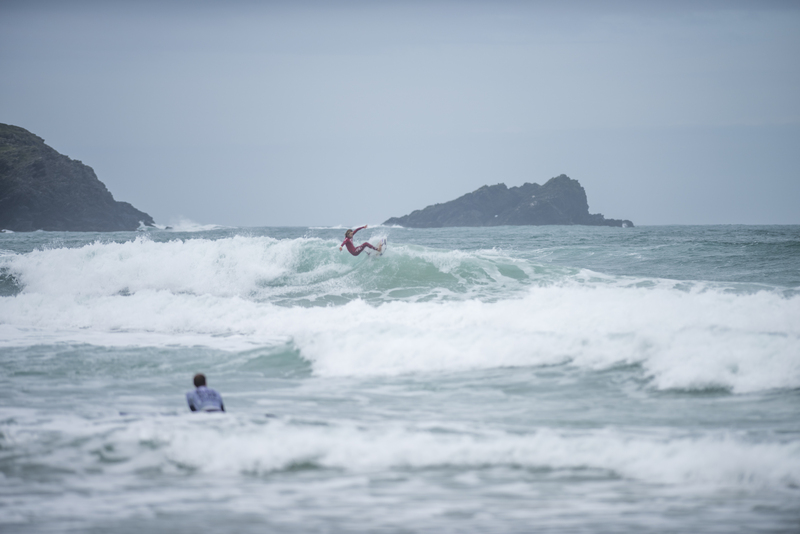 BUCS Surf Championships 2017, mens heats day one, Fistral beach, Newquay, Cornwall, 13/10/17. “This is a great competition to just get back into it, it’s a lot of fun. Before my injury I was kind of sick of competing, and hadn’t competed in a while, but after not being able to compete I’ve never wanted to compete more.” Taz told us. However it was female surfer Flora Lawton that really shone today. Lawton is from Bristol university, has experience being on the British Junior team and is the defending champion. She knocked everyone else in her heat out of the running with a score of 19 – the highest score out of the women’s and the men’s. With the initial rounds over, and a good swell on the way tomorrow, the standard is only going to go up!